Our long lasting, Large Fireside Basket of Evergreens will fill their home with the wonderful scents of Pine, Juniper & Cedar. This large basket is perfect to be set next to a fireplace or on a large table as it measures 27″ long by 14″ wide and is 20″ tall. 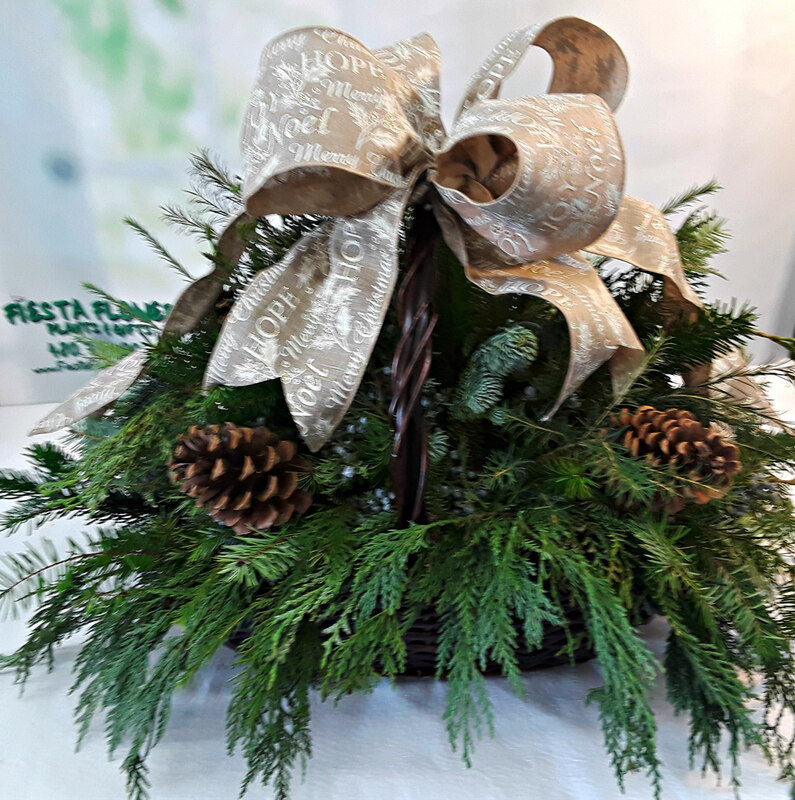 Adorned with our gorgeous, 4″ wide exclusive holiday ribbon and pinecones. If you’d like this same arrangement but with flowers added, see product code H-7044.